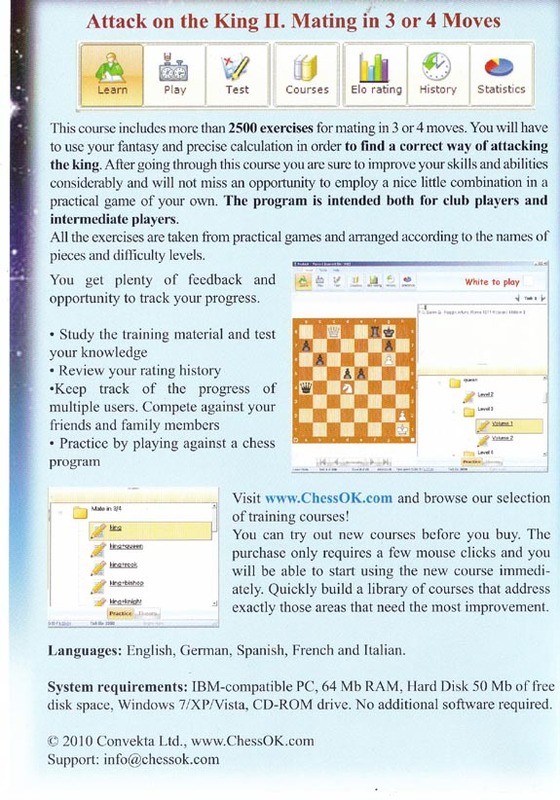 This course includes more than 2500 exercises for mating in 3 or 4 moves. You will have to use your imagination and precise calculation in order to find a correct way of attacking the king. A great number of exercises makes the course an excellent tool for quick training both beginners and club players. * You get plenty of feedback and opportunity to track your progress.